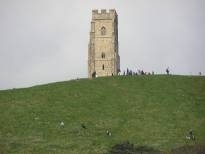 Individual churches of Glastonbury may be members of Churches Together in Britain and Ireland, and one of the four national ecumenical organisations, through their national denomination or organisation. 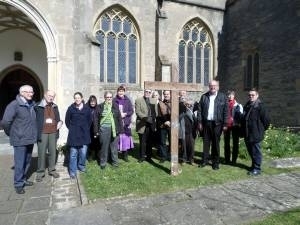 Welcome to Churches Together in Glastonbury. Please explore the site to find out about us. A drop in centre with drinks and snack is held in Glastonbury URC every Tuesday afternoon. Soup Lunches with a pudding is available in St Benedict's every Friday. An independant group of Christians also distributes soup and sandwiches in St John's Car Park on Thursday evening. Also, independant of the Christian community, on Wednesday evenings free Indian food (Prasadam) is provided at the war memorial, by Shekinashram. Foodbank provision in Glastonbury (and the whole of the BA6 and BA16 postcoide areas) is provided by Glastonbury Bridging the Gap (registered charity number 1180479) which was originally set up through Churches Together. It is an independant foodbank without a drop in - food pacels are delivered to people who are referred by agencies dealing with those in need. A peace vigil was held for several years at the Market Cross (Fridays at noon for half an hour) but this has had to be supended due to ill health and unavailabiity of the regular participants. The idea was that people of all faiths and none could have a regular opportuinity to pray in silence for peace in the world, in our nation, in our community, in our families and in our hearts. If you could contirbute regularly to this prayer space please contact us as the concept can be restored if there are sufficient peple to make it viable. Special occasions like the Friday before Christmas and Good Friday will still be served by the peace vigil.